Add cross-county luggage capacity to your ride with accessory Tour-Pak® Luggage. A cavernous interior will hold one full-face helmet or two half helmets. 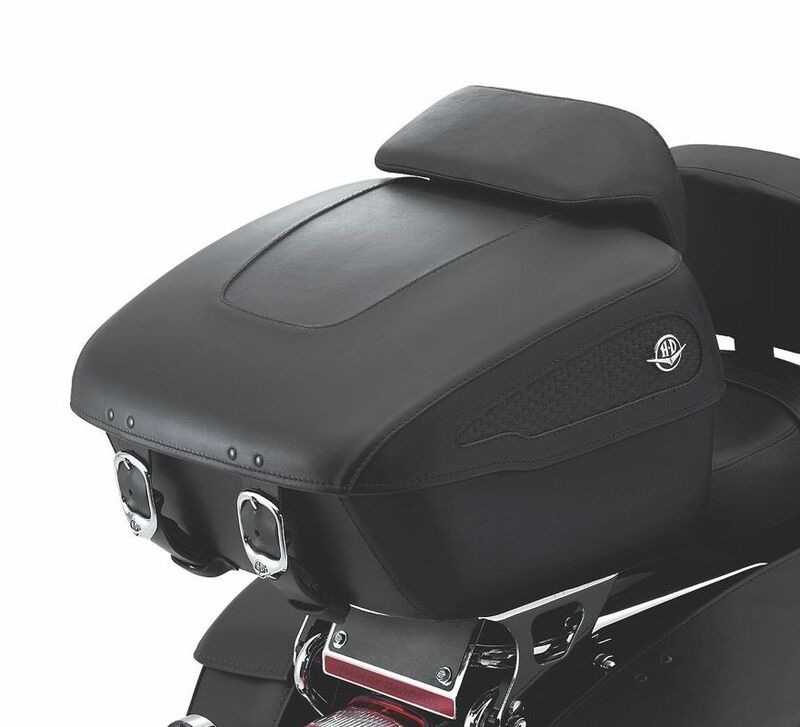 Some Harley-Davidson® luggage is made of leather. Fine leathers or other natural materials WILL gain "character," such as wrinkles or wear, with age. This is normal. A fine, aged patina and character wrinkles are a sign of the extremely high quality materials used to construct your luggage. The appearance of scars or marks on the leather are a result of using natural leather panels and should not be thought of as an imperfection. Use Harley-Davidson® Leather Dressing P/N 98261-91V to protect your investment. Fits '04-later XL (except XL883N, XL1200C, XL1200CX, XL1200N and XL1200T) equipped with Solo Tour-Pak® Rack, '00-'17 Softail® (except FLS, FLSS, FLSTNSE, FLSTSE, FXCW, FXCWC, FXS, FXSB, FXSBSE, FXSE, FXSTD and '09 FXSTSSE) equipped with H-D® Detachables™ Solo or Two-Up Tour-Pak® Rack and '97-'13 Touring models equipped with H-D® Detachables™ Two-Up or Solo Tour-Pak® Racks.